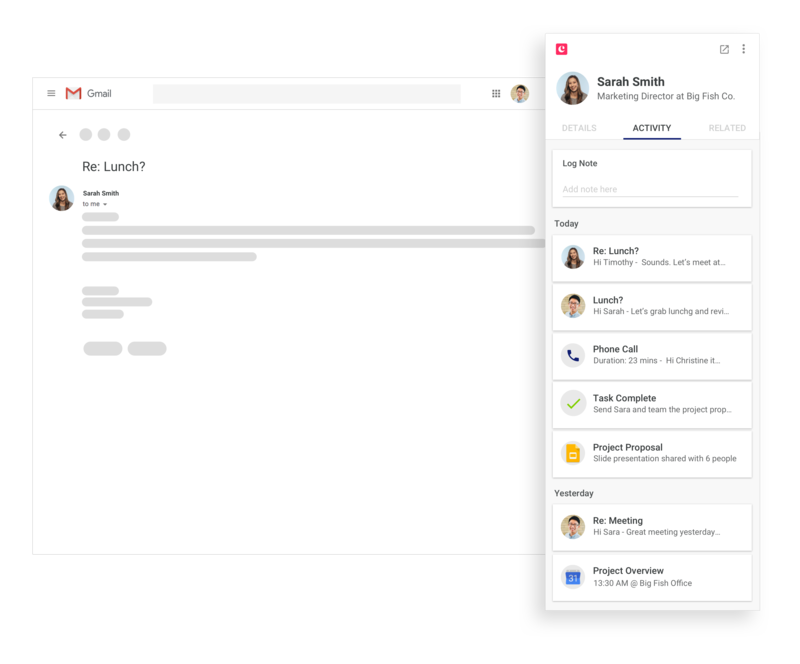 The only CRM designed to fit in your Gmail inbox. Tired of switching between your inbox tab and other windows? 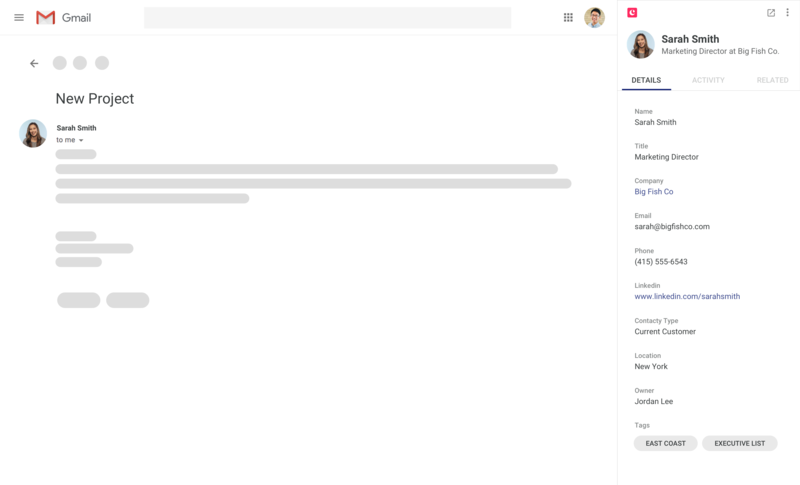 Manage your prospects, leads, partners and more - right from Gmail. Get notified when your contacts open your emails so that you always know when to follow up. Just one of the perks of auto-magic syncing: contacts can see your availability and book meetings with you—without the “so when are you free?” back and forth. Easily upload and find Docs, Sheets and Slides (they’re linked directly to your accounts). Start video meetings right in your CRM and talk about critical changes in secure chat rooms. Manage multiple pipelines in Gmail. Need a better way to visualise your pipelines? Copper has that. 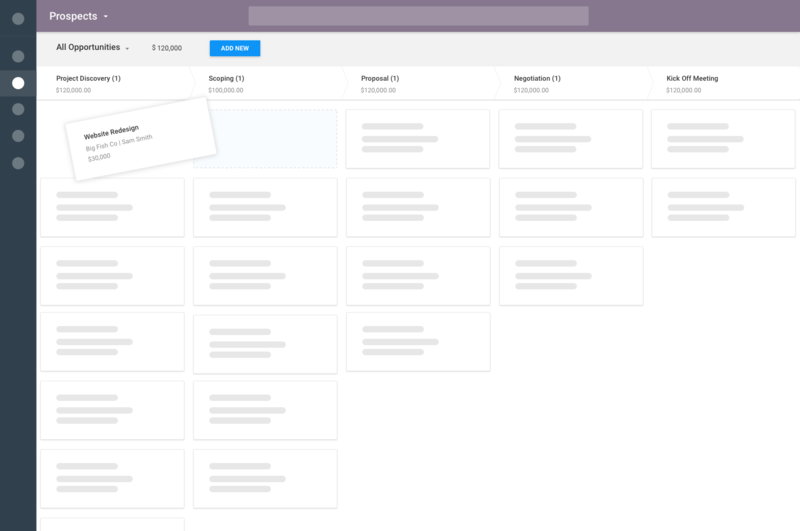 Track custom pipelines, see how long each deal spends in different stages — oh, and to update deals, all you have to do is drag and drop. Say goodbye to data entry. 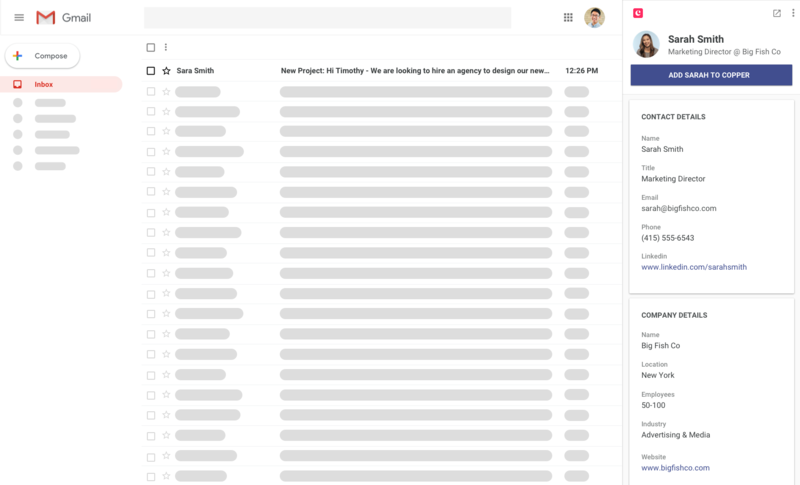 Imagine a CRM that makes life this easy: not only does Copper scrape the internet to get your leads’ work details for you, it also auto-captures emails and links them to the right companies. 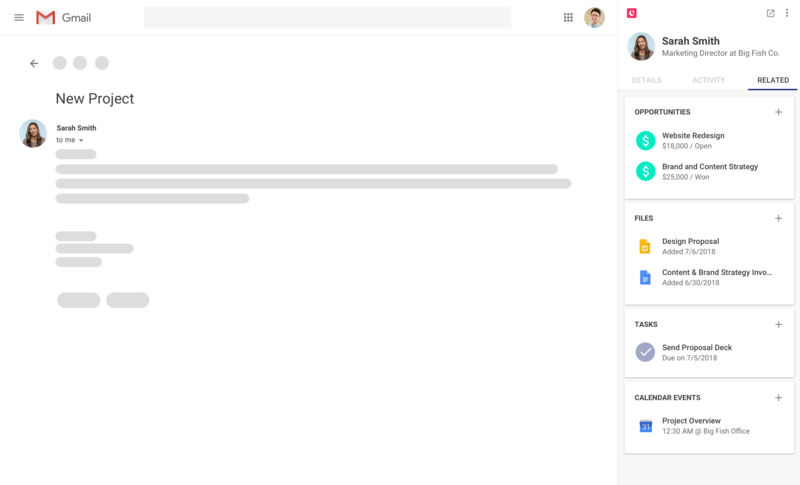 Ready for a Gmail-friendly crm – and a life without data entry? See how much faster you and your team can move when you have a CRM that doesn’t slow you down. Sign up for a free 14-day trial!